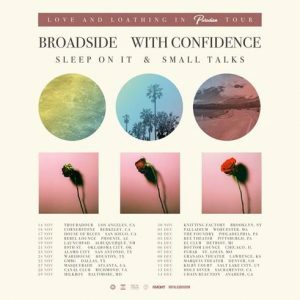 BROADSIDE has announced a co-headlining tour, The Love And Loathing In Paradise Tour, with friends With Confidence. Joining all dates will be Sleep On It and Small Talks. The tour kicks off in BROADSIDE’s home of Los Angeles on November 14, before circling the country and coming to an end in Anaheim, CA on December 14. 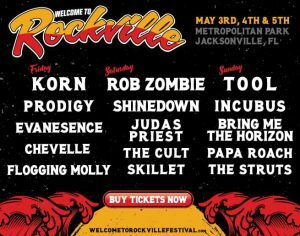 Tickets go on sale this Friday local time.